Behind the Brand with Annee de.. The Self-love Movement: How to.. 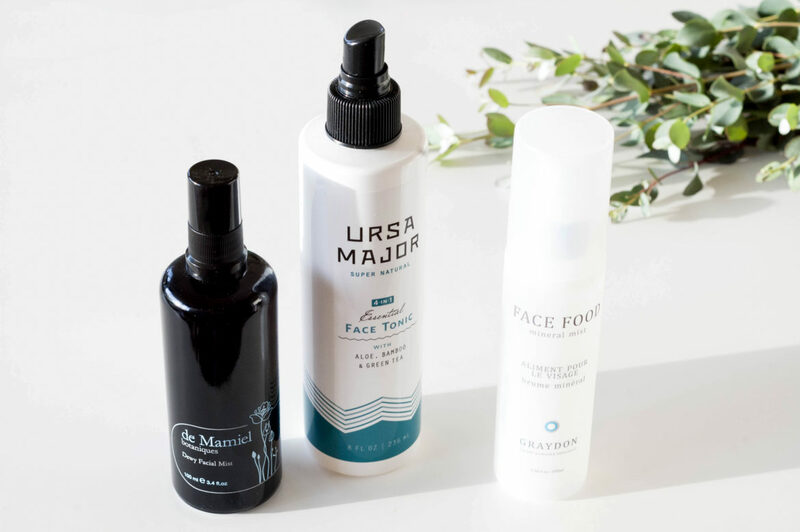 If we had to choose one beauty product that’s not only super simple to apply but also incredibly beneficial, facial mists would take the cake—without a doubt! It’s a product that’s exploding in the beauty world at the moment, and for good reason. Not only are mists refreshing and a breeze to apply, but their multi-tasking magic is beyond our wildest dreams. A product simply does not get easier than a facial mist. You literally spritz a few pumps of it towards your skin and voila! Dewy, hydrated, nourished skin in an instant. And these little bottles of mist are doing more than making your skin glow; they are actually working hard to provide your complexion with a list of benefits. Take the de Mamiel facial mist from our February RADIANT Clean Beauty Box for example. It’s hand-crafted from ingredients like peony (yup, the trendy flower is actually full of antioxidants), pea peptides, Persian rose water, and essential oils. And you know what you get when you take all those beautiful ingredients and bottle them up? A facial mist that calms stressed skin, replenishes tired faces, hydrates thirsty and depleted pores (thanks to all the botanics) and even protects from the endless pollution our complexion is up against. Not to mention all the ingredients are naturally sourced and certified organic! No harsh chemicals invading your skin. 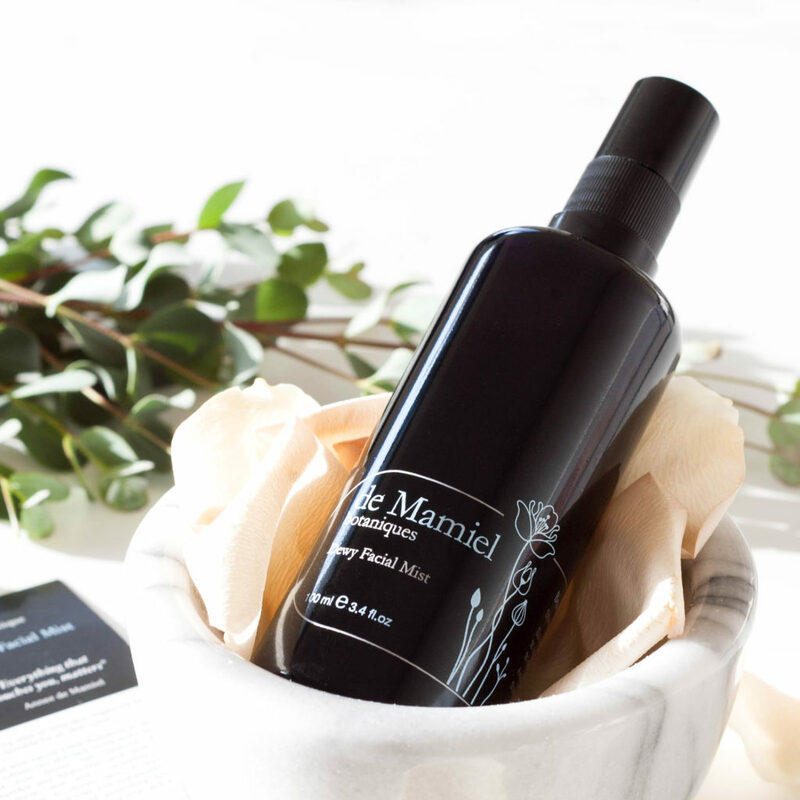 The de Mamiel mist is truly clean beauty at its finest. Apply a few spritzes of any organic, safe facial mist whenever your skin is in need or as a precursor to a healthy complexion. We love spraying before or after makeup—both will help with that dewy glow we’re all chasing—or even to a bare face when makeup isn’t in the cards (so pretty much everyday…). It’s a quick, nutritious way to treat your skin to all the benefits mists provide. And hello!—do perks on-the-go get any easier? Facial mists are the perfect product to toss in your purse for a midday boost. Interested in exploring more mists? Check out our favorites in addition to de Mamiel in our online store HERE.